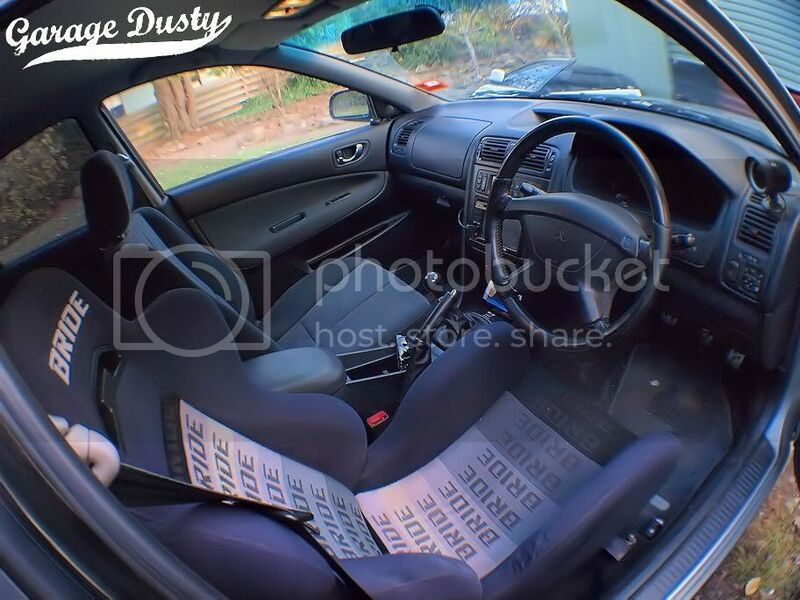 Makeover: Galant interior version 3 – Garage Dusty Exciting Car Team! 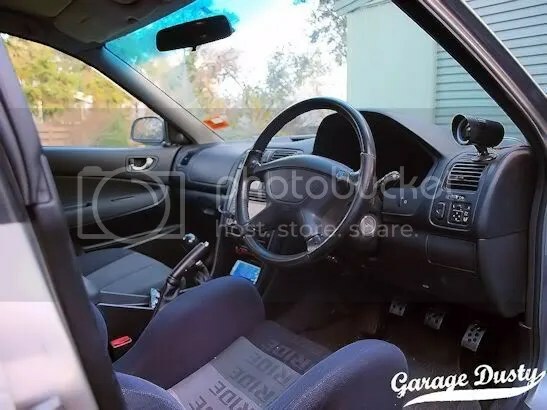 On a happier note, though, my Galant’s interior is done and awaiting the exterior makeover. 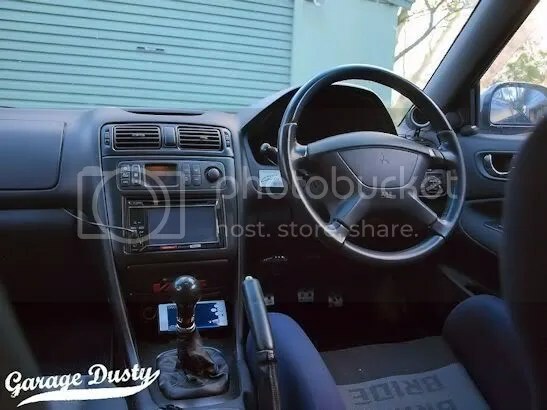 And because I never seem to do things by halves, the seat’s arrival meant the interior was going to get yet another look. Gone is the 3M carbon vinyl which itself replaced the stock woodgrain. The vinyl never really worked, and after 12 months was seriously showing its age. 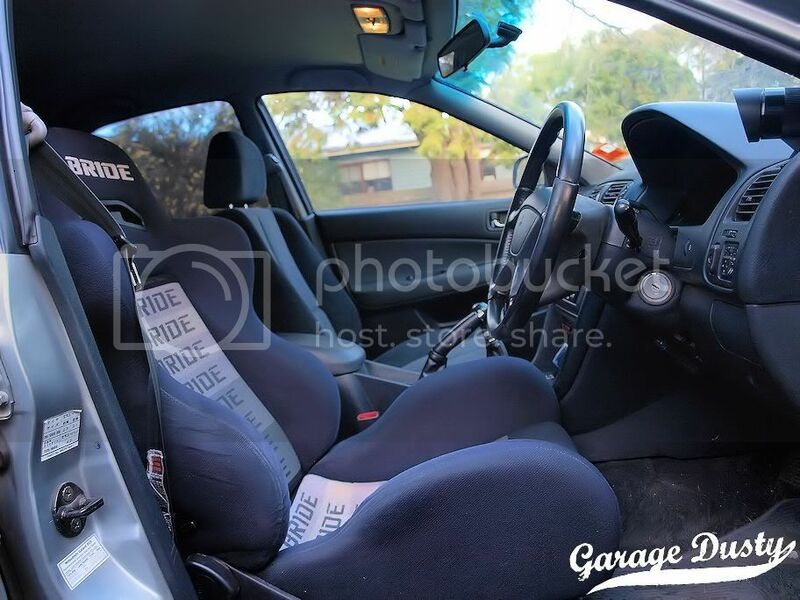 I have now Plasti-Dipped everything, including the wooden parts of the steering wheel, in a semi-gloss black finish. It’s interesting stuff, Plasti-Dip, and I’m pretty happy with the result. I also re-fitted my Ralliart gearknob and fixed the wiring for my boost gauge. So everything’s happy. I’ve always said that changing the seat is the biggest modification you can do to a car and I’ve been proven right again here. The car feels completely different to drive. I’m sitting 2-3 INCHES lower in it, and feel like part of the car when I’m driving now. Teamed with the updated finish on the plastics the car now drives and feels 100% better. Now to make everything else work as well and look as good as the inside!